Features ROLL-A-GOAL integrated wheel technology for easy goal transport! 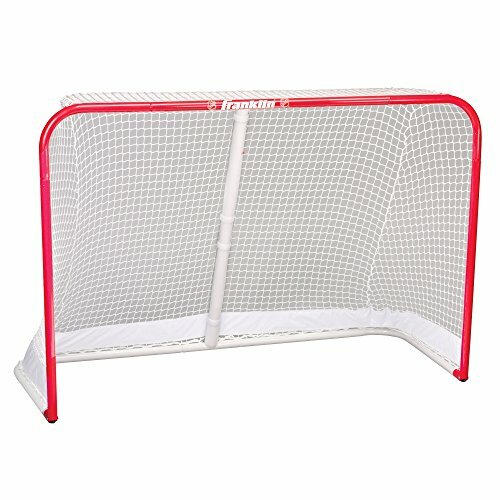 The NHL Championship Steel Hockey Goal includes Franklin’s exclusive ROLL-A-GOAL technology for easy transport. Welded steel loops, reinforced rope edge net perimeter and durable rope ties ensure a professional style net attachment. The rugged goal and net construction is designed to hold up to all levels of aggressive play, from street/roller hockey to ice hockey. Features integrated wheels that allow goal to be easily moved on smooth surfaces. Just tip the goal forward and push!.